This is the page I made from the photos in a previous post about finding these birds in our neighborhood one morning. 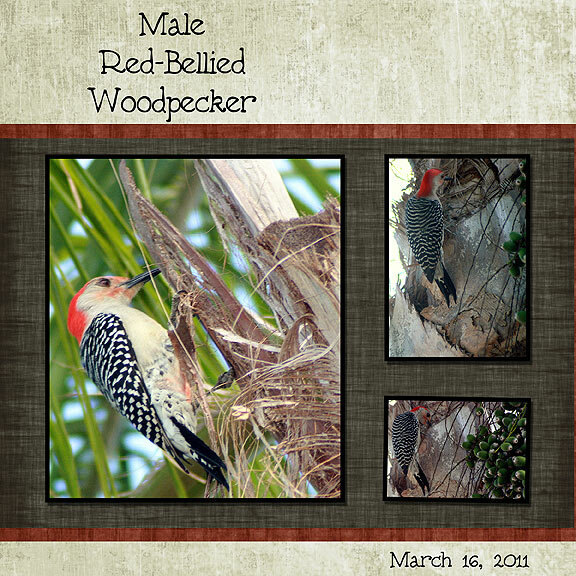 I plan on creating a book when I get enough pages of "ultimate bird photos". Just this morning this guy cooperated by spending a split moment in the sun so I could get a good shot. We were sitting down by the lake having morning coffee with "the kids" visiting from Michigan when we heard the unmistakable call...CLOSE. There was the pair of Sand Hill Cranes in the field across the street from the house. They have been in the area for a week or more but never on this block. Why did the crane cross the road? "Hey, you, behind the tree..."
I grabbed my camera as fast as I could. Fortunately the zoom lens was already on so I saved a couple of moments there. From a "blind" behind a palm tree I started snapping and they started coming closer. By the time they stepped into the road in front of the house I didn't need the zoom fully extended. They kept coming and I changed positions as they entered the front yard. 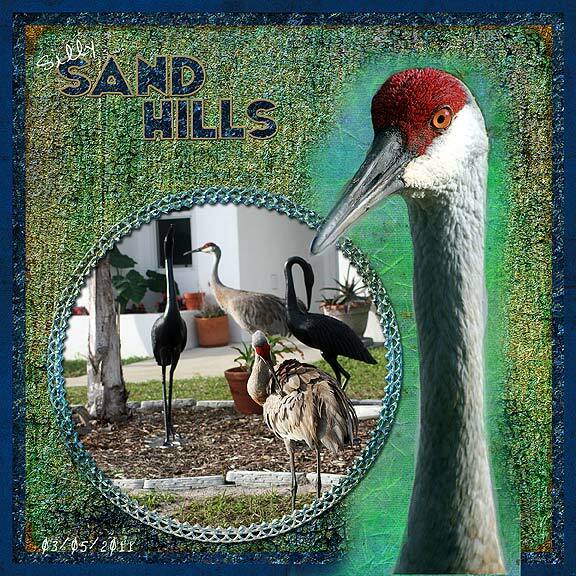 For 4 years we have had a pair of metal, decorative Sand Hill Cranes in the planting in front. The REAL Sand Hills went for it and I got the pictures I wanted of the real and statue cranes. Do they think the statues are real? Do they even SEE the statues? The big birds wandered past the truck and on to other parts of the neighborhood.